Providing world-class service is the norm when you visit Flightstar. Our staff is continually on the move to deliver extraordinary service to you and your aircraft. Our experienced Line and Customer Service Representatives are determined to make your visit to Champaign-Urbana pleasant, smooth, and efficient. Flightstar has collaborated with many quality Hotels in our area and can help you make your reservations. Relax and let our Profesional staff make your arrangements for your next visit. Leave the heavy lifting to us, our staff can reserve your transportation and have your car or limousine delivered plane side when you arrive. Flightstar proudly offers Avfuel as our exclusive supplier, allowing us to offer you the absolute highest quality aviation fuel in the industry. 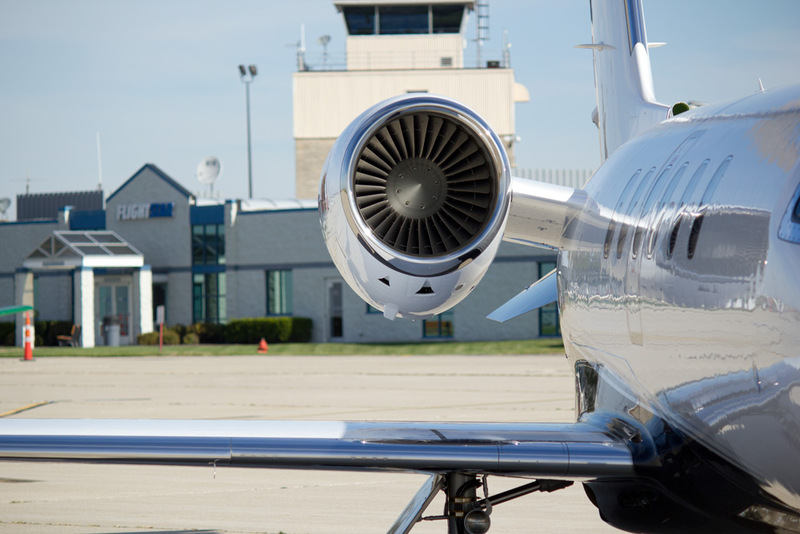 We provide many in-house incentives and discount programs including AvFuel contract fuel as well as AvTrip points for purchasing Avgas 100LL or Jet A.
Chartering a large group of 30 to 600 people? Flightstar has the experience and expertise to handle your large groups efficiently and get them on their way. We have been ground handling sports teams, orchestras, and vacation travel groups for over 25 years. Need some shelter during your visit? We've got you covered! Flightstar has over 112,000 sq/feet of hangar space to accommodate aircraft with a tail height up to 32'. Don't mind staying outside? We have over 5 acres of tie-down space available. 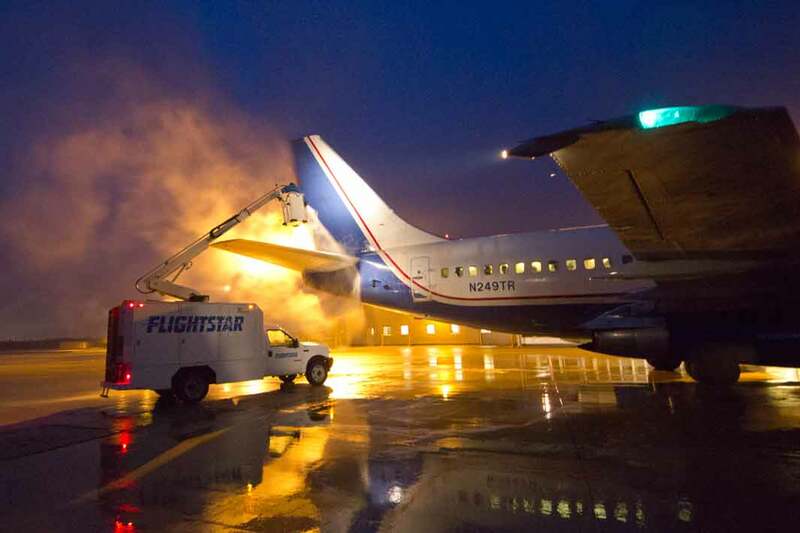 Our professionally trained staff utilizes both Deicing and Anti-ice procedures to ensure that your aircraft can safely depart, even in icing conditions. Whether it is one box at 20 pounds or 200 pieces of 20,000 pounds, the Flightstar ground handling team can meet your need. With the experienced line personnel and proper equipment, Flightstar can handle any of your cargo handling needs. Over the years, Flightstar has had the privilege of hosting and staffing many special events held at Willard Airport CMI. Such events include the original Farm Aid concert, the University of Illinois Men’s Basketball Team going to the final four, ground handling the Chicago Bears during their stay here while Soldier Field was being renovated, handling a Monday Night NFL Football crowd, U of I football bowl trips, and Presidential visits.